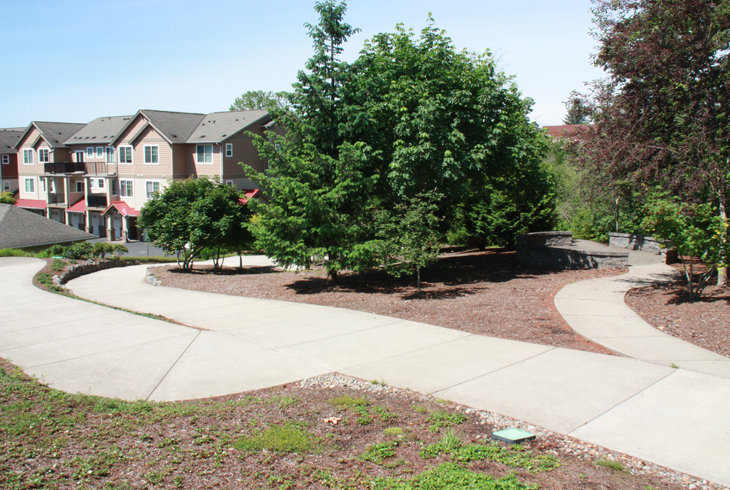 The Cedar Mill Creek Greenway loops around the western and southern perimeter of the Timberland residential development and includes a portion of the Cedar Mill Creek Trail, extending more than one mile from NW Cornell Rd. to NW Barnes Rd. and NW Stark St. 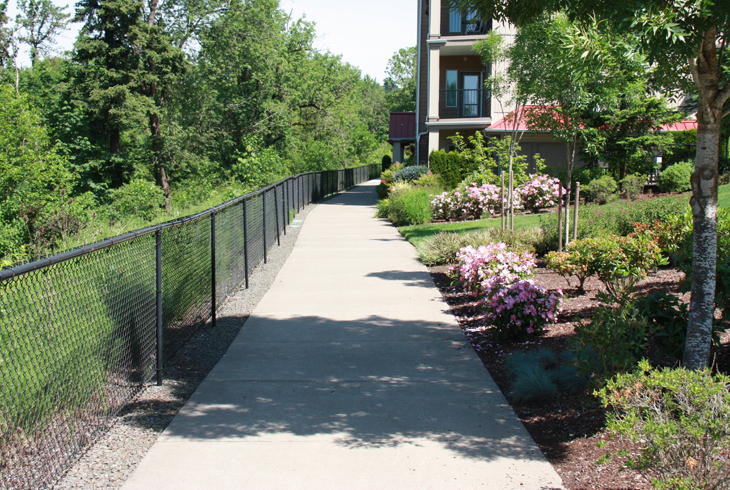 This greenway with ADA-accessible multi-use trail provides a wonderful amenity for residents and guests alike. 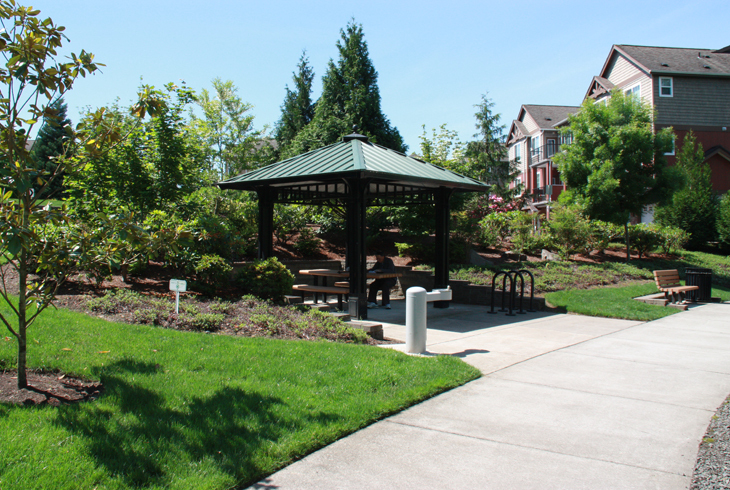 Several features are located along the paved trail, including an accessible overlook, a picnic gazebo, and Cedar Mill Creek Overlook Park. 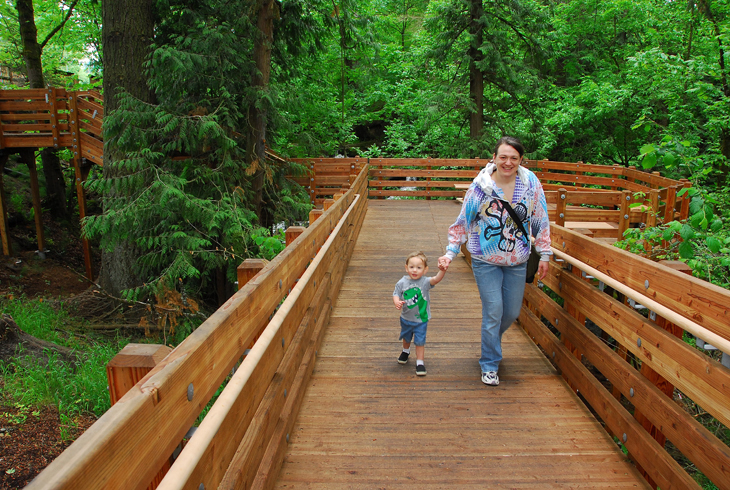 The greenway also features the Sue Conger Boardwalk, which provides views of the area’s only waterfall. 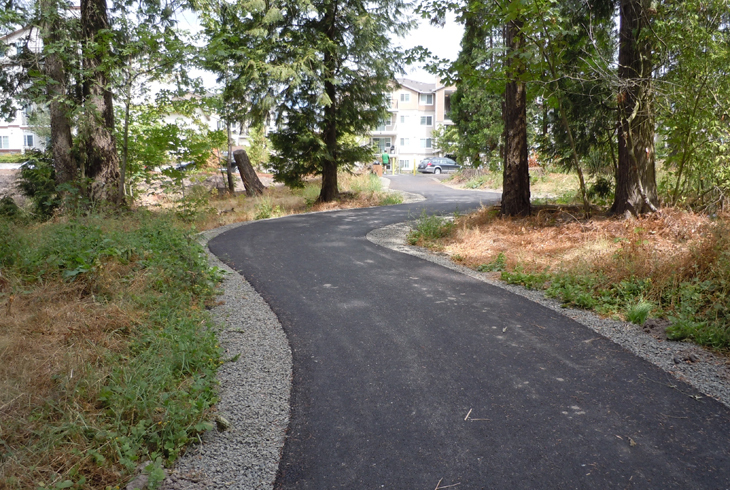 At its North end, the Cedar Mill Creek Trail begins on NW Cornell Rd. at NW 114th Ave. 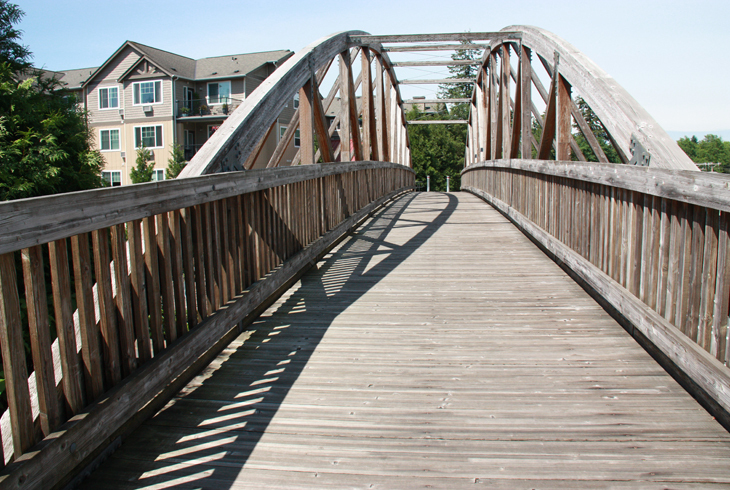 It extends west, over a bridge at NW 118th Ave., toward Cedar Creek Falls (near THPRD’s historic John Quincy Adams Young House). 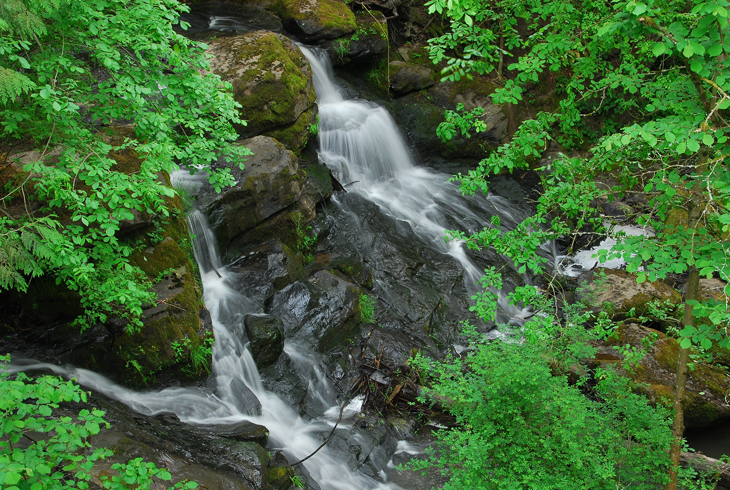 From the falls, the trail extends south through the greenway along Timberland’s western perimeter, adjacent to the creek below. The greenway is interrupted at NW Barnes Rd., resuming east of Timberland Town Center at NW Stark St., where it extends along the southern perimeter of Timberland past residential units and a nearby wetland. Plans are in place to eventually connect the greenway to nearby George Foege Park.